TV personality Alesha Dixon introduced a film about a family, who are supported by Rainbows Hospice, on last night’s BBC Children in Need. Twelve-year-old Sophie Cooper suffers from several life-limiting conditions, but it hasn’t stopped her from flying in a plane, zip wiring and racing in a power boat, with her family determined to allow her to make the most of every moment. Sophie and her twin sister, Erica, were extremely premature. Born four months early, their parents were told it was unlikely they would survive into the next day. But they defied the odds. Sophie has numerous conditions including Cerebral Palsy, chronic lung disease and Scoliosis – a curvature of the spine. The three conditions combined are very serious and parents Leanne and Craig Cooper never escape the knowledge their daughter could be taken from them at any time. 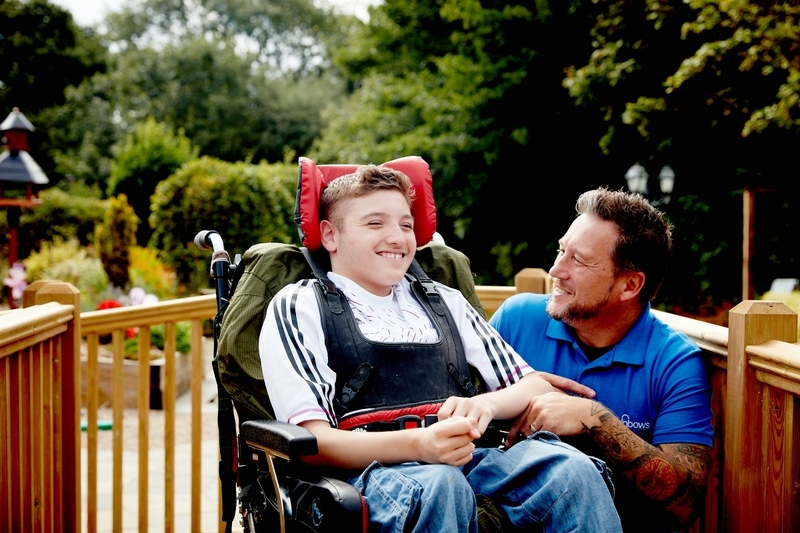 But that has not dampened their determination to provide the best quality of life for Sophie, rich in experience. Since 2015, the family, who also have 11-year-old daughter Kyla, have been supported by Rainbows. Last night on the national TV show, Alesha introduced emotional footage of how our hospice and incredible team benefits Sophie and her family, providing them with a dedicated place at their hardest times. “Rainbows have been such a great support to our family, they have helped us so much, particularly at difficult times of change with Sophie’s needs,” said Leanne. “We all love Rainbows and everything it has to offer, not just for Sophie but for her sisters Erica and Kyla also. The girls love everything they get to access there, from the pool to the soft play and the arts and craft. “For us as a family, no two days are the same. It does feel it is never-ending. There are days when I really struggle and worry about the future. Even if you are having a good day, you know it can all change in the blink of an eye and that’s hard. Where we go from here on in is unknown but we always keep going, ensuring that Sophie and her sisters live their lives to the fullest. Over the next few months, they spent every day in hospital as more and more problems arose for the tiny sisters. 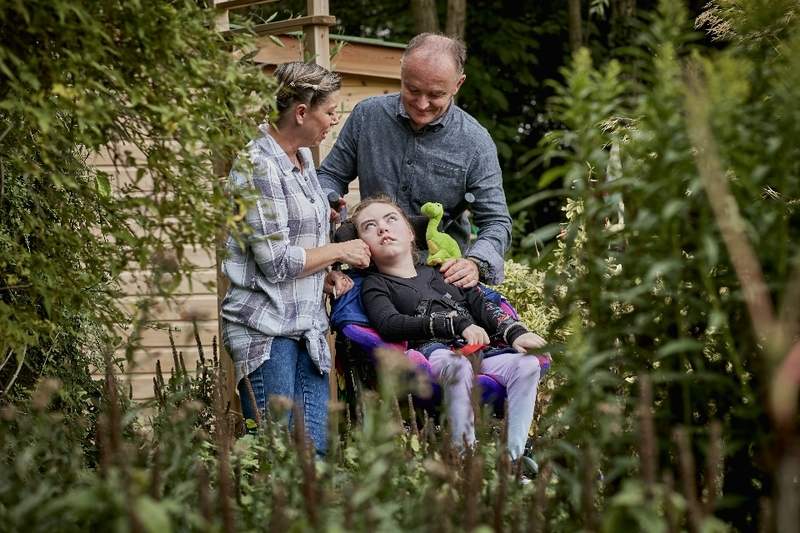 In a bid to thwart life restrictions, the Coopers set about creating a wish list of thrill-seeking experiences for non-verbal Sophie, who is also in wheelchair, hearing impaired and has problems with her eyes. “Life has been so tough, we decided that life is for living, not existing,” said Leanne. “We needed to make quality memories and enjoy life. So we made a plan of exciting things for Sophie to do with her sisters and us as a family. “There was no way her disabilities would deter her. Sophie is fearless and her face lights up when she does an extreme activity. She’s the biggest thrill-seeker we know.” Sophie’s adventures began when she reached the dizzy heights of 5,000 feet as she flew above the clouds in a light aircraft with her father, who is retired from the RAF Regiment. Rainbows has received funding from BBC Children in Need since 2008 when we were awarded a grant towards the building of our therapy wing. We are currently midway through a BBC Children in Need grant that funds our specialist play work. This work gives life-limited children and their siblings increased opportunities to have fun and maximises the cognitive and physical skills for each life-limited child. You can watch Sophie's video from Children in Need here.